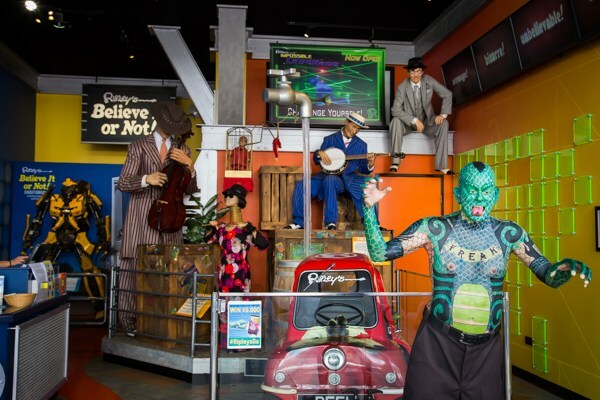 Ripley’s Believe It or Not is the most unusual attraction! Located in Soul Boardwalk on Cavill Avenue in the heart of Surfers Paradise, this attraction offers 15 individually themed galleries of unbelievable artefacts and interactive exhibits. Take a self-guided tour through individually themed air-conditioned galleries featuring hundreds of unbelievable exhibits, amazing stories, magic, mystery, incredible illusions, interactive displays and an unforgettable movie. You can even measure yourself against the tallest man in the world. You are allowed to take photos inside the Odditorium. The entire venue is also wheelchair accessible.